The adolescent brain undergoes profound structural changes which is influenced by many factors. 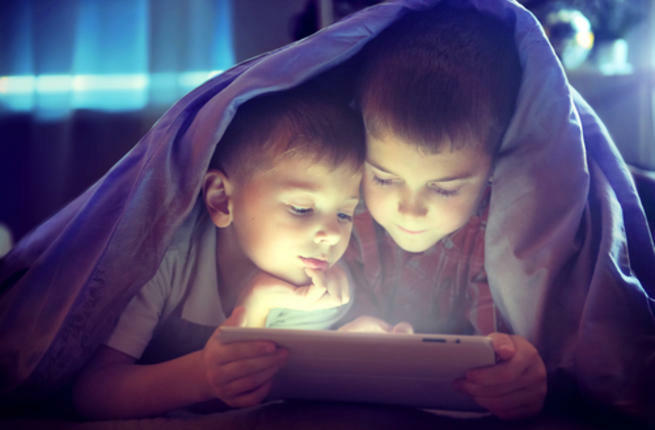 Screen media activity (SMA; e.g., watching television or videos, playing video games, or using social media) is a common recreational activity in children and adolescents; however, its effect on brain structure is not well understood. A multivariate approach with the first cross-sectional data release from the Adolescent Brain Cognitive Development (ABCD) study was used to test the maturational coupling hypothesis, i.e. the notion that coordinated patterns of structural change related to specific behaviors. Moreover, the utility of this approach was tested by determining the association between these structural correlation networks and psychopathology or cognition. ABCD participants with usable structural imaging and SMA data (N = 4277 of 4524) were subjected to a Group Factor Analysis (GFA) to identify latent variables that relate SMA to cortical thickness, sulcal depth, and gray matter volume. Subject scores from these latent variables were used in generalized linear mixed-effect models to investigate associations between SMA and internalizing and externalizing psychopathology, as well as fluid and crystalized intelligence. Four SMA-related GFAs explained 37% of the variance between SMA and structural brain indices. SMA-related GFAs correlated with brain areas that support homologous functions. Some but not all SMA-related factors corresponded with higher externalizing (Cohen’s d effect size (ES) 0.06–0.1) but not internalizing psychopathology and lower crystalized (ES: 0.08–0.1) and fluid intelligence (ES: 0.04–0.09). Taken together, these findings support the notion of SMA related maturational coupling or structural correlation networks in the brain and provides evidence that individual differences of these networks have mixed consequences for psychopathology and cognitive performance.